as long as I am free. 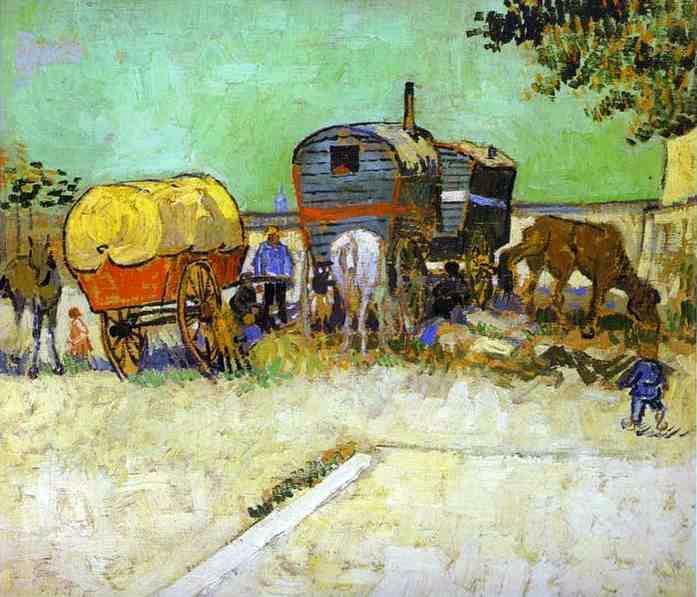 I’ve been meaning to eke out a short piece on the Roma – or gypsies, as more commonly known – for some time now. However, my hesitating to write has had its reasons: firstly, I won’t be able to justly capture the spirit that “Hungarian gypsy music” invokes in me, and secondly, the topic of gypsies here in Hungary is not so light-hearted a subject of conversation, as I will expound here. But first, a little music. According to the Hungarian Ministry of Foreign Affairs (HMFA) in its 1893 census, approximately 17,000 gypsies had registered as musicians in Hungary, six percent of the nearly 280,000 estimated to be living in the country at that time. Despite the popularity of Hungarian melodies – both the popular song form called the nóta and the capricious csárdás – played by the gypsies, as Bálint Sárosi contends in his article, The History of the Gipsy Band, even the most talented gypsy performers during the 18th and 19th century were not taken seriously. Succinctly stated, Zsigmond Móricz had this to say of a concert he attended much later in 1930: “Hey, Gypsy, dog Gypsy, you played the country away!” In his famous novel, Verry Merry, a highly esoteric historical fiction of Hungarian life at the turn of the century which I’m struggling to finish, the author gives the reader an equally disparaging view of the downtrodden, pathetic gypsy peasants constantly begging for work (though at least he credits them for wanting to work, a sentiment not universally shared today, as you’ll see below). Sárosi’s piece goes on to quote two other critics of the so-called gypsy music, both effecting that the gypsy musician could never truly conceive or improvise anything other than the music given to them by “the revelling Hungarian gentleman.” The phrase “so-called Gypsy music” was echoed in 1932 by the last person I would have expected (naively so, I realize only now) to present a similarly jingoistic view, although not entirely pejorative: Béla Bartók. In his essay, “Gypsy Music, Hungarian music?”, Bartók writes, “The popular art songs, on the other hand, especially as performed by Gypsies, have a romantic extravagance in their expression, which is admittingly fascinating in the beginning but becomes wearisome later on,” all the while holding Hungarian peasant music as more “advanced” than the “colorless” Gypsy tunes. Liszt, he penned, had it all wrong. While forms such as the nóta were claimed to have their roots in Hungarian culture, the gypsies who took to playing these enjoyed some form of respect, if not altogether without a condescending nature or otherwise a bit fantastical. The latter view was even one I held growing up, the term “gypsy band” putting into my head visions of a wild people camping in caravans in dark mountain passes, dancing and playing passionate melodies into the night (I blame Carmen Sandiego). Even today, I still hold onto some of these romantic notions, fueled, in part, by a terrific documentary I recently saw, Latcho Drom (1993), following the Romani on a long and musical journey from India to Spain. Of course, since my arrival in Budapest two months ago, I’ve yet to hear a sentence combining the words “gypsy” and “music” at all. As I will soon hope to publish an article detailing homelessness as well as its relevance to the state of Roma affairs in the city’s districts, I’ll only outline a few points on the history of the issues here. As of a recent census according to the data provided by the HMFA, the Roma comprise somewhere between 400,000 and 600,000 of Hungary’s population, putting the country in fourth place in terms of the number of known Roma residents (the first three being Romania, Bulgaria, and Spain). Throughout the group’s existence here since the 14th and 15th centuries, they’ve experienced a veritable rollercoaster of near acceptance to intended extermination. Maria Theresa’s 18thcentury decrees bestowed a more respectful title to the aliens (“new peasant” or “new Hungarian”) but also sought to restrict Roma marriages and rehome their children in more upstanding and educational environments. Fast forward over several waves of immigrations – consisting of branches of Vlachs, Beas, and Romungros – to the 50s: a cultural institute with interests in improving the Roma’s state of living made some headway in doing so, only to close down after four years in 1961. Yet, during this time, although housing conditions were less than desirable, employment was still up; it was the 80s, particularly 1989, when the Roma experienced the worst of the downturn. As unskilled laborers, as documented in the HMFA report, they were the first to be let go. Boroka Féher, a social worker at Budapesti Módszertani Szociális Központ (BMSZKI), says that this impact was especially felt in northeast Hungary. Children growing up during this time would take after their jobless parents, she says, marrying early and having children of their own, a not-unheard-of problem in low-income communities, but a damaging, generation-to-generation behavior. 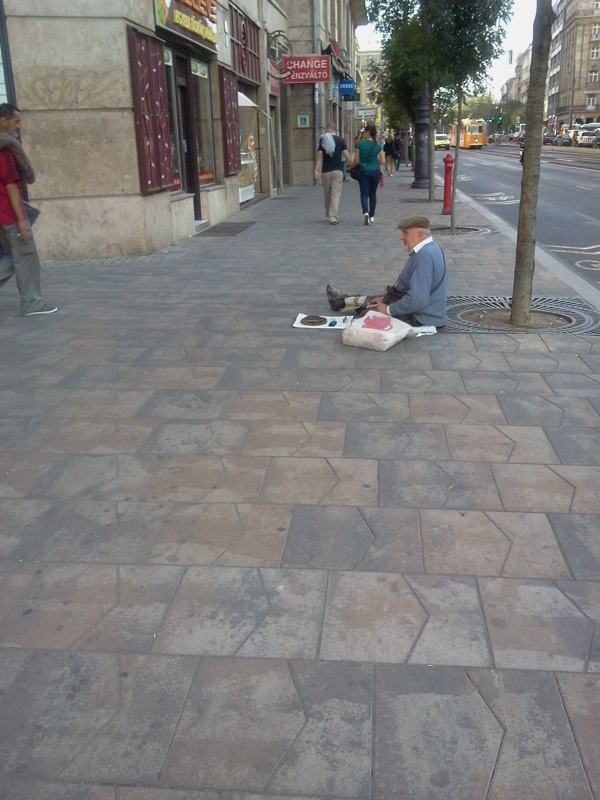 Roma rumor: Limbless Roma are taken to Budapest from Romania to beg on the streets and then are picked up and driven back after a day’s work; the money is given to the operators of the scheme. 1. A private student of hers, in his 40s, confided in her that the gypsies were the reason he couldn’t immigrant to Canada; there are too many Roma claiming refugee status in Canada, so now Canada hates Hungarians. 2. In a class with four older women, she has been told to avoid going to the 9th district, as it is filled with gypsies and alcoholics (the one student called them “drug men”). 3. Another student of Heather’s spoke highly of her country (Poland) that they “solved the Roma problem”. 4. One of Heather’s friends explained that Romanians are just “watered-down gypsies”. 5. “Going down the gypsy” has been a phrase coined here to mean that something unpleasant went down the wrong pipe. In addition to these ubiquitous little numbers, another favorite song and dance repeated by Hungarian scholars and regular Joes alike has been the idea that the Roma have no history or form of stable and collective identity, as excellently discoursed in Sándor Romano Rácz’s Historical Consciousness Among the Roma. Indeed, it is easier to avoid the subject when at all possible; it’s terribly disheartening for an otherwise amiable new friend to turn out to be a potential enlister for Jóbbik (think the US’s Tea Party) and a bigoted racist. For isn’t that what they are? Never mind the facts and figures: the formation of the mouth, ready to spit out the crude “gypsy” and all other opinions based solely off of thoughtless, overgeneralizing news reports or their one experience seeing a darker-skinned bum sitting idly on the street, begging for change is enough to notice something very wrong in the rhetoric in this place. Perhaps, if one of these individuals took a second from sipping their Balaton wine while whining about the poor state of the economy and how they’re just scraping by, they might see that there could be much more done not only for the Roma but for all who are truly in dire need during these hard times they claim them to be. And while I have to understand the mentality of a people still transitioning from an Everything’s-fine-no-problems-here Communist state, I do expect a little more humanity and thoughtfulness from at least the educated youth of Budapest. If not, let’s get the subject back to music.